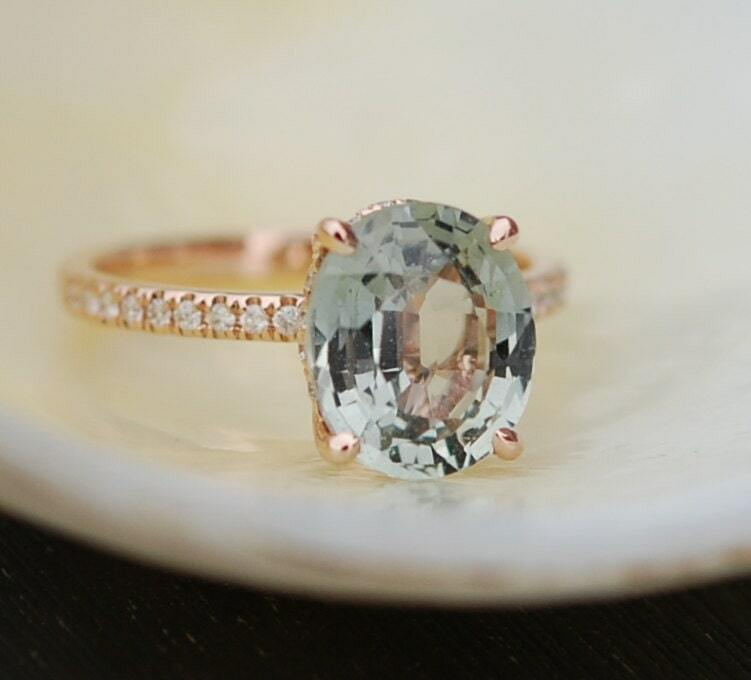 Jasmine Green sapphire engagement ring by Eidelprecious. 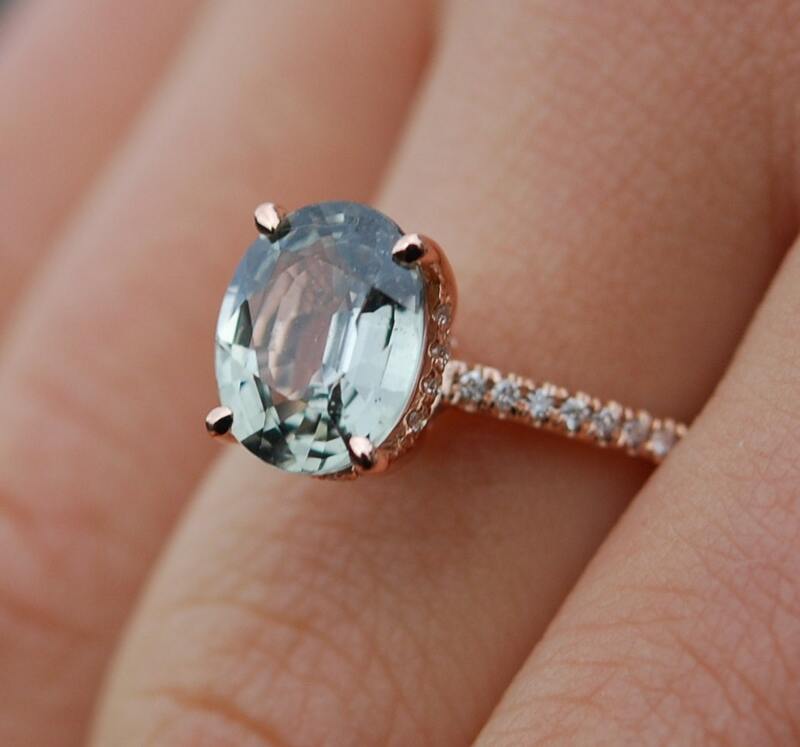 The sapphire in this ring is really gorgeous! It is a natural non-treated beauty, approx. 2ct, eye clean. 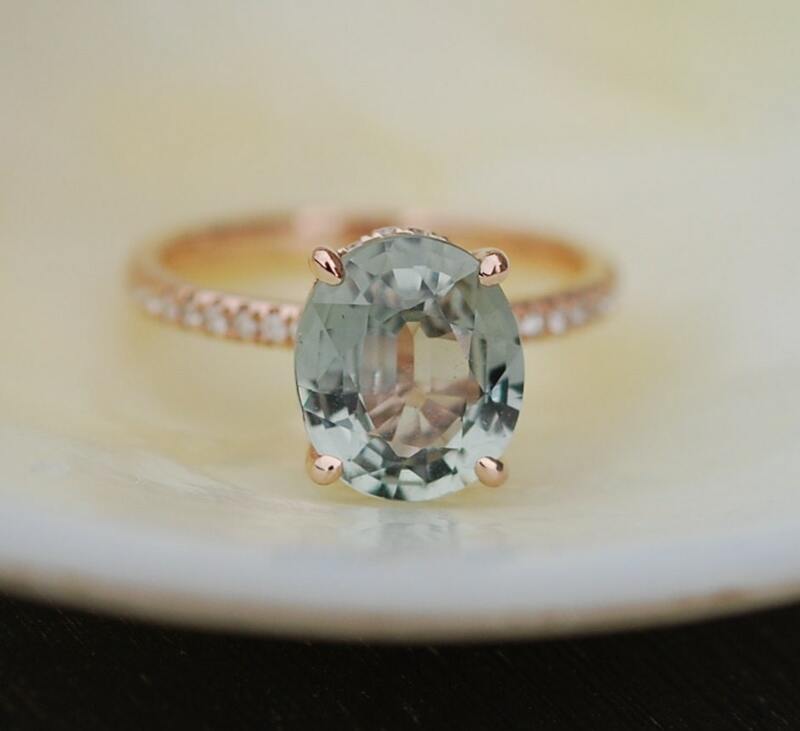 Color range is jasmine green - light green, very similar to prasiolite in color, but it`s a real sapphire! It is an awesome stone, unbelievably clean and sparkling! 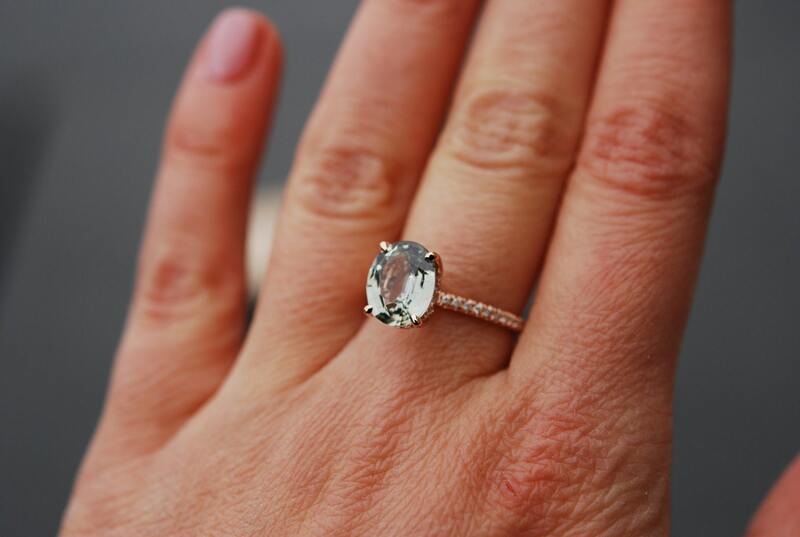 It is set in a our Blake design - oval setting with 2 rows of diamonds underneath the center stone. 14k rose gold, TDW approx. 0.3ct, SI/H, full cut. My fiance proposed with this ring, and both of us adore it. The pictures are amazing, but it is even more beautiful in person! I love how classic it looks, while still being unique, and I get compliments on it every day. We recently got the ring appraised, and its value is a bit above what we paid, which makes it all the better. 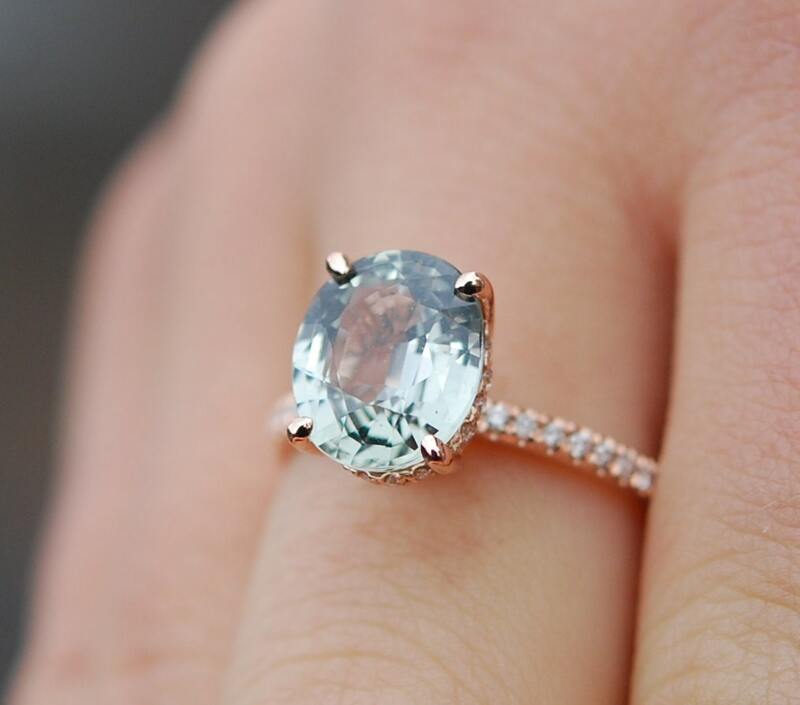 If you are considering purchasing a ring from EidelPrecious, do it!